I am a professional graphic designer and marketing specialist. My education is in graphic design and online marketing. I do some web design, but still prefer designing for print. I enjoy working with small businesses to help them brand and market their businesses. I also enjoy designing fliers for area organizations and fundraising events. 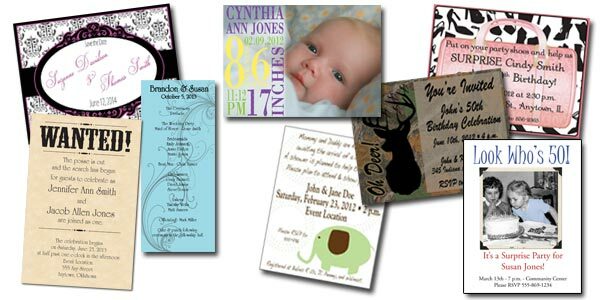 Besides my design services for business, I offer custom designs of invitations as well as selling customized printable invitations and wall decor in my Etsy shop. Whether you're planning a wedding, birthday party, baby shower, or bridal shower, I can create an invitation and other items to match your chosen theme. Scrapbooking and photography are both hobbies of mine. I enjoy both paper and digital scrapbooking. You can find some of my digital scrapbooking papers in my Etsy shop. I don't scrapbook as much as I would like anymore, but I still take lots of photos in hopes that I might find more time to scrapbook them in the future. Check out my portfolio page to see samples of my work. Also, be sure to like Tara D'Arcy Designs on Facebook or follow @TaraDArcyDesign on Twitter to keep up with new offerings and specials.